Edward Blakely was previously an honorary professor at the US Studies Centre. He currently serves as a District Commissioner on the Greater Sydney Commission. He previously served for two years as Executive Director of the Office of Recovery and Development Administration, the "recovery czar" for New Orleans following the devastation of hurricane Katrina. 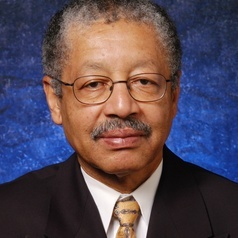 One of the world's leading scholars and practitioners of urban policy, Blakely has been Dean of the School of Urban Planning and Development at the University of Southern California and Dean of the Robert J. Milano Graduate School of Management and Urban Policy, New School University in New York City. He has also held professorial appointments at the University of California Berkeley, the University of Southern California and the University of Sydney. Professor Blakely is author of ten books and more than one hundred scholarly articles as well as scores of essays and opinion pieces. His publications include Fortress America, Separate Societies: Poverty and Inequality in U.S. Cities, Planning Local Economic Development: Theory and Practice, Rural Communities in Advanced Industrial Society, and My Storm: Managing the Recovery of New Orleans in the Wake of Katrina. Blakely's extensive record of public service includes advising the Organization for Economic Cooperation and Development, state and federal governments in Australia and the United States, as well as governments in Korea, Japan, Sweden, Indonesia, New Zealand and Vietnam. The Edward Blakely Prize is awarded every two years to the planner in the world who contributed the most to social justice for people of colour or disadvantage by the Association of Collegiate Schools of Planning. Blakely was recognised by UN Habitat for his contributions to social justice and sustainable planning in disaster recovery in 2012. He is a Fellow at the Lincoln Institute of Land Policy in Cambridge, Massachusetts, an Emiment Scholar at Texas A&M University and on the board of the New York Regional Plan Association. A Fulbright Scholar, Professor Blakely earned his BA at the University of California Riverside, an MA in Latin American history at UC Berkeley, and a PhD in Education and Management at UCLA.